The need to detect and analyse gases grows stronger every day in the face of environmental and industrial challenges and new opportunities in fields such as healthcare. Existing solutions are driving the search for a new class of highly-sensitive, affordable detection module which can be easily integrated into ever-smaller gas analysis systems and detect multiple gases in real-time. 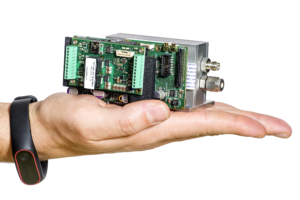 Innovation: EARTO member CEA worked closely with MirSense to develop and commercialise an off-the-shelf gas detection unit with these prized characteristics. Combining miniaturised, tunable quantum cascade lasers with the compactness of photoacoustic detection, the MultiSense module is up to 100 times smaller and three times cheaper than predecessors. This technology was enabled by the involvement of MirSense in Framework 7 and Horizon2020 projects. Impact expected: MultiSense will help industries including oil and gas, metallurgy and agriculture optimise resources and productivity. Through applications such as leak detection, in-car emission monitoring and city pollution mapping it will play a role in the safety of citizens and the tackling of climate change. It will also enable new applications such as breath analysis to detect alcohol or glucose in the blood. The innovation’s market potential is estimated at €1 billion and MirSense predicts growth of over 50% in the next four years. The Alternative Energies and AtomicEnergy Commission (CEA) is a French government-funded RTO and a prominent player in the European Research Area.